If you’re a fan of historical romance and/or time travel romance, you’ll want to check out this giveaway I’m co-sponsoring through Bookwrapt. It’s running through March 31, and there’s a lot of loot for the taking, including Amazon gift cards, a Jane Austen-themed gift basket loaded with goodies, historical romances, and a reproduction Greek drachma Pegasus love token! Welcome back to Medieval Monday, and welcome back, Ruth A. Casie! 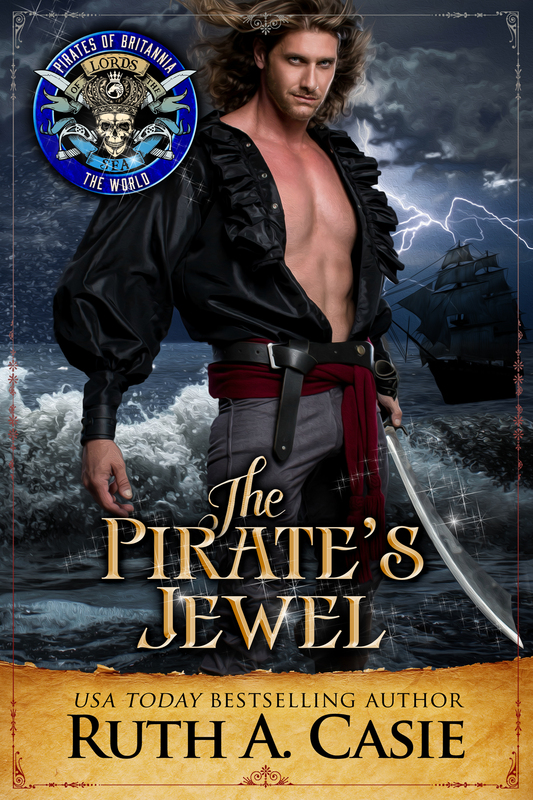 You might remember, I featured The Pirate’s Jewel a few weeks ago on its release day. Now we get a peek inside the pages! Wesley made his way back to Richards and helped roll the last of the barrels up the gangplank. Richards mopped his brow and looked at the sky. “I’ll make sure there is no other cargo lingering on the dock while you lash down the barrels, then I’ll rouse the men in the tavern. From the looks of the sky and building wind, you’ll want to leave as soon as possible.” Wesley hurried down the gangplank. Commenters each week will be entered into a drawing for a free digital copy of Ruth’s work, The Maxwell Ghost. I’m thrilled to have USA Today bestselling author Ruth A. Casie here! She’s part of our Medieval Mondays group, and today is release day for her latest book, The Pirate’s Jewel. Let’s see what she has to say about it. What inspired you to write this book/series? Have you ever read a book with secondary characters that scream for a story of their own? Or better yet, characters you want to know more about? Yes! That’s why my medieval romance, Flight of the Raven, turned into a series, The Novels of Ravenwood. Tell me more! Wesley Reynolds and Darla Maxwell, the central characters of my new release, The Pirate’s Jewel, are the parents of Lisbeth Reynolds, the heroine in my story, The Guardian’s Witch. My story that is releasing today is one of the books in the Pirates of Britannia connected world created by Eliza Knight and Kathryn LeVeque. It is also a cross-over story to my series, The Stelton Legacy. That is so cool! I have to know…have you encountered any of the characters in a dream? No. I haven’t encountered any of my characters in a dream, but I did get pulled over by a policeman for speeding because I was talking to one. I lost track of how fast I was going on the parkway. I was arguing with my character while I was driving to my meet up with my writing partners. He just wouldn’t cooperate, my character not the police officer. I was having a terrible time with a plot point, and my hero sat in the passenger seat and didn’t say a word. I threw out idea after idea, but he said nothing. That was when I saw the flashing lights. Yes, I told him everything and no, I did not get a ticket. The very nice police officer let me off with a warning. I would have liked to be a fly on the barracks wall when he came in. I love it! If you could give your characters a word of advice, what would it be? In The Pirate’s Jewel, deception and family honor are a central theme that touches both Wesley and Darla in different ways. They learn that blind trust can have deadly consequences. My words of advice are listen, question, and evaluate. Good advice! In general, which do you enjoy writing more: description or dialogue? That’s a great question. To outline my stories, I write what loosely resembles a synopsis. Here is where I can write straight dialogue without worrying about body language, emotional cues, or anything else. I just write the words. I find the dialogue comes naturally. When I edit, I need to wordsmith, and some of my best repartees will be deleted, but for me the dialogue fuels my writing. I adore dialogue too! What do you love most about being an author? I love the creativity of storytelling. My sister is fifteen years older than me. When I told her I wrote a story and it was published by Harlequin, I didn’t know what she would say. Bernice was not surprised. She said I always had a story to tell or act out and quickly reminded me that I made her dress up as a cowgirl to play cowgirl (we didn’t have any bad guys) with me. Yes, storytelling is truly magical! Thanks for joining me on your release day, Ruth. I wish you great success with The Pirate’s Jewel! Deception and family honor are at stake – so is her heart. Medieval Monday is back! I’m teaming up with seven amazing authors of medieval romance, and every Monday for the next eight weeks, we’ll share excerpts from each other’s books on our blogs. This round’s theme is “Family” in honor of all the family holidays during the next two months. Each excerpt will be broken into eight snippets; mine will be from Flight of the Raven (The Novels of Ravenwood, Book One). My excerpt highlights brotherly trust, support, and love…tough love, in this case. Sometimes, only a trusted sibling can open one’s eyes. Each Monday, I’ll feature a snippet from another author’s book and tell you where to find the next bit of the story. I’ll also let you know where to find my snippet. On the last Monday (December 24), I’ll feature the final snippet from my own excerpt here on my blog. If you follow along and comment on the snippets from Flight of the Raven, you could win a digital copy of the book. If you already own a copy, you’ll have your choice of any one of my other books, fiction or nonfiction. I’ll announce my winner on Monday, December 31. The other authors will also award prizes to commenters, so you have lots of chances to win! 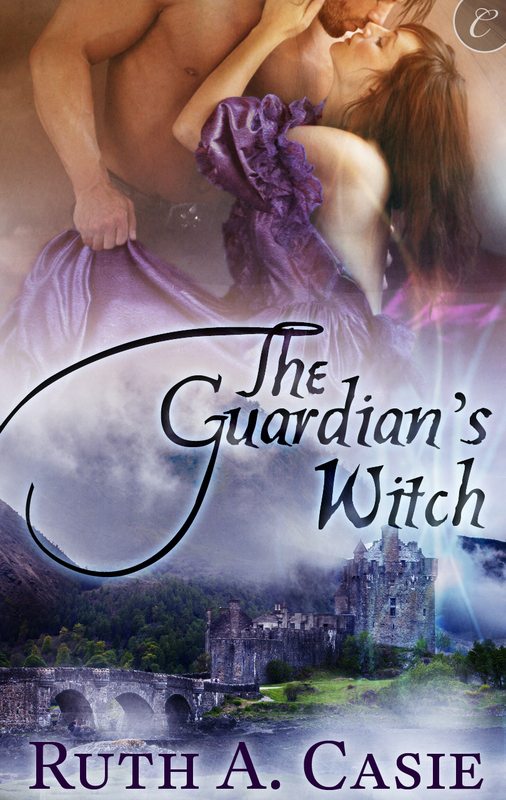 I’m featuring hers from The Guardian’s Witch, Book One of the Stelton Legacy. Let’s take a look! Jamie and Alex sat in the main room of the hunting lodge. They looked up from a large parchment map on the table. “Your brothers?” Jamie waved his hand at the six men accompanied by highland guards. “Yes, I thought they would follow.” Alex left the table to welcome them. Don’t forget, commenters each week will be entered into a drawing for a free digital copy of The Guardian’s Witch. And visit Ruth’s blog to comment on my snippet for a chance to win Flight of the Raven or another of my books! It’s time for a new round of Medieval Monday! For this round, it’s Author’s Choice. We’ve chosen our own themes or a scene we particularly enjoyed writing. My theme is “An Unconventional Wedding Night,” and my excerpt (broken into snippets over the next 14 weeks) is from my upcoming release, Shadow of the Swan. If you comment on my snippets, you’ll be entered into a drawing to win a free digital copy (Amazon) of one of my books. Your choice! Every Monday for the next 13 weeks, I’ll feature a snippet from another author’s medieval romance and tell you where to find the next bit of the story. I’ll also let you know where to find my snippet. On the last (14th) Monday, I’ll feature the end of my excerpt right here on my blog. I’m featuring hers from The Guardian’s Witch. Let’s take a look! Medieval Monday ~ Winner announced soon! Hi, everyone! We’ll be announcing the winner of our recent blog hop, First Encounter, next Monday, November 20. Remember, those who comment on each snippet (14 in all) of a particular author will be entered into a drawing to win all 14 e-books showcased in this round of Medieval Monday, including my book, Soul of the Wolf. That’s a lot of loot, providing many hours of fun reading for those who love historical romance! So I’m going to post all the links to the blogs involved to give you one last chance to comment on all of my snippets or those of another author. I’m listing these in the order of my snippets, 1 through 14. Here you go! So there you have it: all 14 snippets from Soul of the Wolf in a row. You might need to scroll down a bit on those blogs to find the posts, but just look for my characters Wulfstan and Jocelyn embracing beneath the full moon. They’ll guide you home! Good luck, everyone, and Happy Monday! We’re starting a new round of Medieval Monday, and this time, you could win big! The theme is “First Encounter,” that moment when the hero and heroine first meet. Every Monday for the next 14 weeks, I’ll feature a snippet from a medieval romance and tell you where to find the next bit of the story. If you follow along and comment on every snippet of a particular “first encounter” (14 in all) you’ll be entered into a drawing to win a collection of e-books from the authors of Medieval Monday. “There aren’t many left in service. The king’s protectors scared them away.” Ann gave the linen a final tug. “You mean the rumors of the curse.” Bryce’s voice held a bitter edge of cynicism. “Bryce?” Alex’s whispered words went unheard. Exhausted and in pain, he fought to open his eyes, to no avail. He would not surrender control. Instead he struggled to take in bits and pieces of the conversation. Welcome to another Medieval Monday! 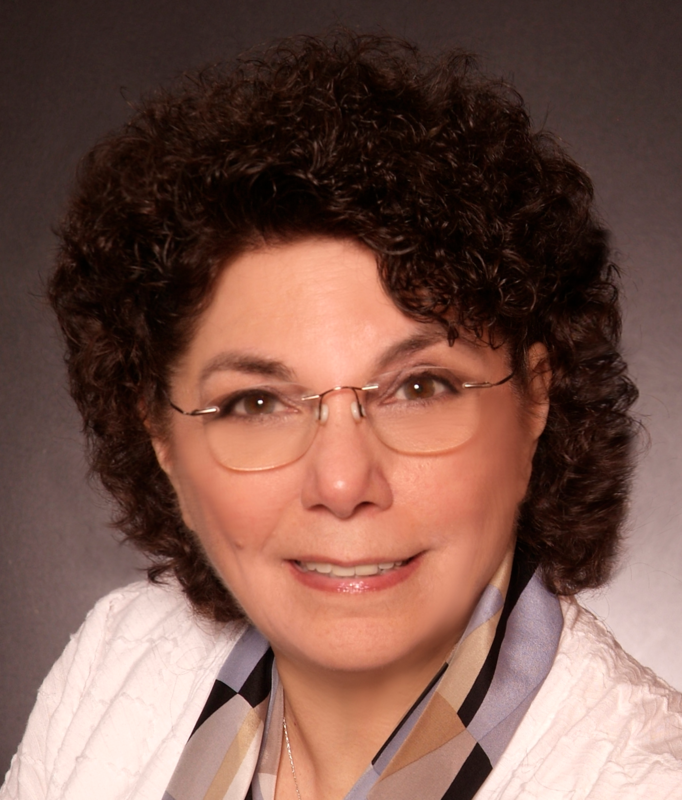 My guest today is bestselling author, Ruth A. Casie. She’s here to tell us why she writes historicals. Take it away, Ruth! As I went on to the different cities I tried to hear the sounds, smell the aromas, and see the sights from a different perspective, a different time. Stories by Julie Garwood, Jude Deveraux, Johanna Lindsey and Lynn Kurland had me enthralled along with Clive Cussler. I know he’s not exactly romance but his Dirk Pit stories always start with some historical fact or thread that’s crucial to solving the mystery. I read my books at night and visited places where I imagined the stories unfolding. Historical facts mixed with chivalry and magic are the most compelling stories to me. The romance of the middle ages with knights and princesses and their myths of druids, fairies, and fae tossed in for good measure all drew me in. Time travel stories and the ability to visit the past, protect the future, or simply experience a different time were the most compelling stories. Personally, I want my fiction based on fact but I don’t necessarily want the cold truth of reality. I know that history doesn’t always end with a happily ever after but taking a little poetic license to alter history just a bit to make it all work out is what I enjoy reading—and writing. 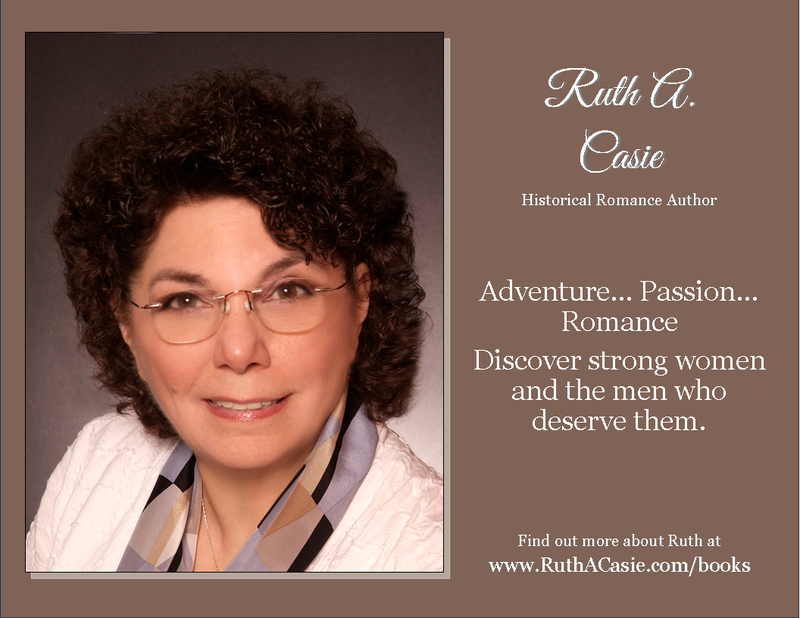 Ruth A. Casie, a USA Today Bestselling Author, writes historical fantasy and contemporary romances for Harlequin, Carina Press, and Timeless Scribes. Before she found her voice, she was a speech therapist (pun intended), client liaison for a corrugated manufacturer, and international bank product and marketing manager, but her favorite job is the one she’s doing now—writing romance. When not writing you can find her home in Teaneck, NJ, reading, cooking, doing Sudoku and counted cross stitch.